Ryan Somerville and Andy Yen’s “Organs Without Body” melds fashion, dance, composition, and video art. 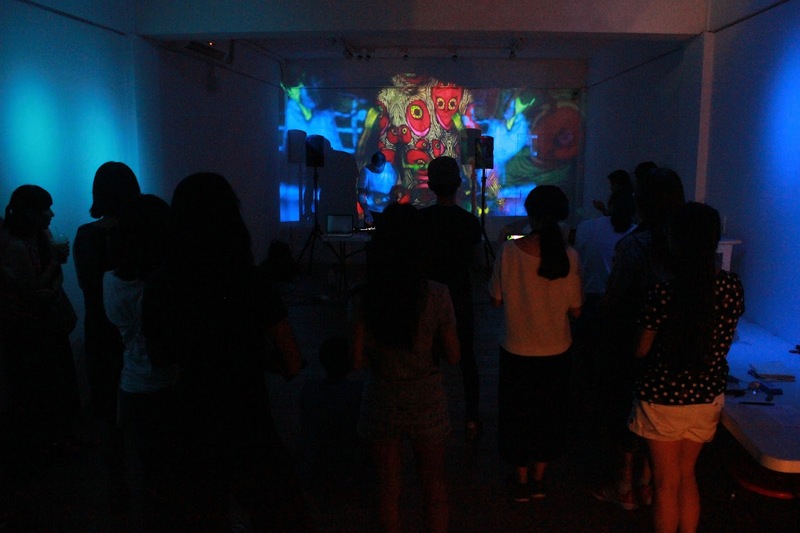 Ryan Somerville and Andy Yen were first brought together by the joys of communal living, when they ended up as neighbors during an arts residency program in Shanghai. The now-collaborators’ skillsets couldn’t be more diverse. Somerville is an American composer, whose body of work focuses primarily on interdisciplinary approaches to musical creation. Yen, on the other hand, is a jack of many trades, and his artistic practice includes fashion, visual art, multimedia, and installation-based work. But soon after meeting, the two creatives found that their artistic ideologies complemented each other’s perfectly. They were striving to meld academia with a contemporary artistic language that would have a wide, yet intellectual, appeal. Somerville humorously notes he now imagines that this is the goal of every young artist in academia. In this case, however, conventional dreams made way for an unconventional project. The pair joined forces to create Organs Without Body, an interdisciplinary performance piece that combines music, visual art, fashion, and dance with the aim of unravelling consciousnesses and bonding the outer and inner self. Photo courtesy of Andy Yen. With this general idea in mind, the pair set out to create work for the project separately, with help from dancers Jesse Retina and Ho Wei-Lun, who act as both performers and canvases for Yen’s visuals. The audio aspect was heavily influenced by Somerville’s surroundings at the time. Living in the LED light and technology-drenched city of Shanghai, he aimed to capture the hyperactivity of his new home, as well as its strong connection to history and tradition. “To create this sound world, I exclusively used Logic’s Alchemy to create the foundation; conceptually, and sonically, it made sense to strictly use a digital instrument to reflect the futurism of Shanghai. But to explore the concept of tradition, we’ve integrated string musicians into the live performance,” he explains. While Somerville’s contributions were bred from an inspired concept, Yen’s part in the project was more physical in nature. His experiences with dance and theatrical performance led him to approach painting as an exploration of movement as well as optics. “Watching a color transform blank canvas into extensions of itself can be compared to a performance in itself. The body brings to life the colours and textures, just as it does to drapes and textiles,” he says. 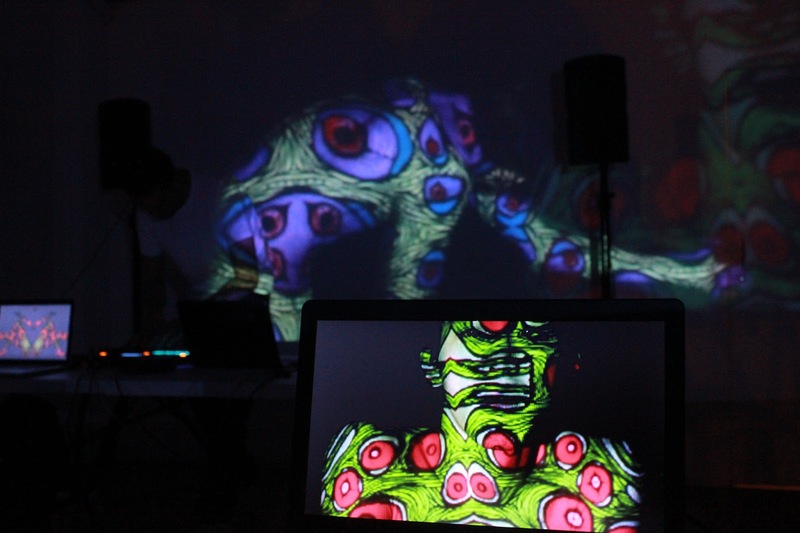 For the recorded version of Organs Without Body, Yen filmed Retina and Wei-Lun dancing beneath a projection of his psychedelic, amoeba-inspired visuals, and that raw footage was later synced with Somerville’s compositions. 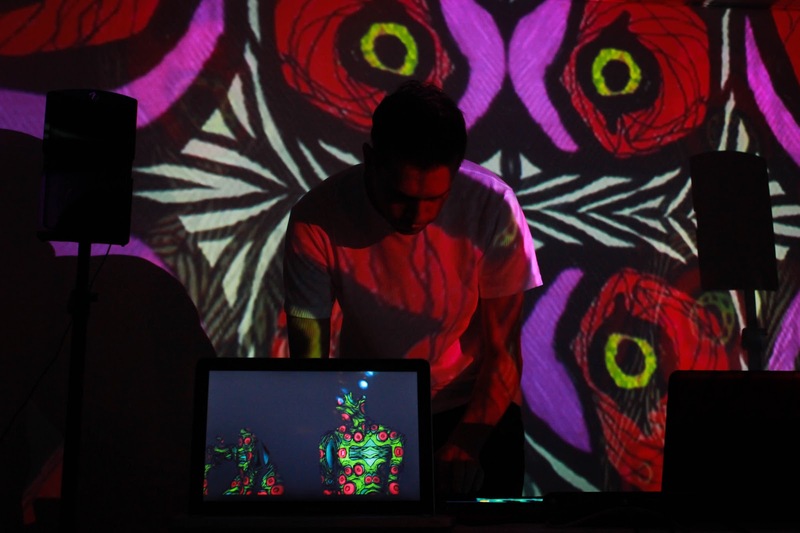 The result of their combined efforts is a psychedelic tussle of sound, movement, and visuals. While separate elements combine harmoniously, the holistic project is amorphous enough to allow viewers to project their own wants and desires on that which they see. Inspiration for the moniker, Organs Without Body, comes from theories developed by French philosophers Gilles Deleuze and Felix Guattari. “Deleuze’s theory is based on the ‘virtual’ body as being different from the ‘real’ body. The latter being constricted by organs, social norms in society, or transcendental values. And the former being liberated by potential traits which are free from articulation and flow freely,” says Yen. This interpretation follows the idea that liberation is activated through conscious experimentation with oneself. If experimentation is the key to liberation, then it’s fair to expect a project like Organs Without Body to continue growing and morphing. Though in the beginning, Somerville and Yen did some small scale performances of the project, these attempts were just a starting point. In April, the pair will reunite to begin work on transforming Organs Without Body into a large scale live act complete with a more extensive ensemble of musicians, additional dancers, and larger sets to create an even more immersive experience. Follow future work by Ryan Somerville and Andy Yen on their websites here and here.